Basophils are granulocytes known for their roles in immune responses to parasitic infection and IgE-mediated immediate allergic reactions. Basophils are the rarest granulocyte in peripheral blood and share phenotypic and functional features with mast cells but can be differentiated based on phenotypic markers and activation assays. Flow cytometry-based basophil activation assays are widely used for diagnostics, particularly for allergy diagnoses. Basophil activation is mediated primarily by crosslinking of the high affinity IgE receptor (FcεRI), which activates different signaling pathways and leads to degranulation. Activated basophils express unique molecules, including CD63 and CD203c, which can be detected by flow cytometry to assess the level of basophil activation. Many basophil activation assay kits (also known as allergenicity kits) are available, but may limit the scope of your basophil analysis, based on the fluorescent antibodies used to stain activation markers. Custom assays afford you the flexibility to design a staining panel that works under your desired experimental conditions and flow cytometer parameters. 1. Are you evaluating basophil activation based on expression of well-defined markers, or are you including novel markers? Basophil activation kits contain a limited number of antibodies for immunophenotyping, so you may be limited in the scope of your basophil activation analysis. Consider what you want your readout to be for your assay. Are you looking for a straightforward diagnostic? If so, a kit may be sufficient. 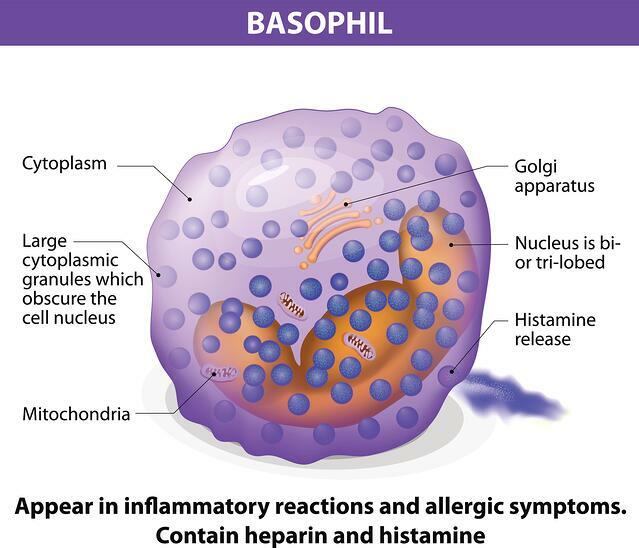 Are you asking specific questions about basophil biology and mechanisms of allergy? Then, you may need a custom staining panel to meet your needs. 2. Do you need a validated assay for evaluating clinical samples? Kits may or may not satisfy the appropriate validation criteria for your clinical or diagnostic needs. A custom validated assay may be the best way to have a robust, accurate, and sensitive assay available to meet regulatory criteria. 3. Do you need an assay that works consistently with whole blood samples and specific allergens? Basophils are a notoriously finicky cell type and screening with certain allergens can cause a high incidence of false positives. Kits are limited by the number of markers they screen, so if you are struggling with false positive results, a custom assay with more phenotypic markers and different processing and stimulation protocols may reduce the false positive rate. Basophil activation assays are becoming a reliable and sensitive tool for allergy and sensitivity diagnostics and basophil biology is a burgeoning area of research. Consider adding basophil activation assays to your next project. Ebo DG, Bridts CH, Hagendorens MM, Aerts NE, De Clerck, LS, Stevens WJ. Basophil activation test by flow cytometry: Present and future applications in allergology. Cytometry Part B 2008; 74B: 201–210. McGowan EC, Saini S. Update on the Performance and Application of Basophil Activation Tests. Current Allergy and Asthma Reports. 2013;13(1):101-109.